Yes I dipped the rims of my glasses again, yes it was kind of unnecessary, yes you can completely skip this step because it’s not even party of the recipe it just adds a little magic and ‘snow’ to the glasses...two of my favourite things. 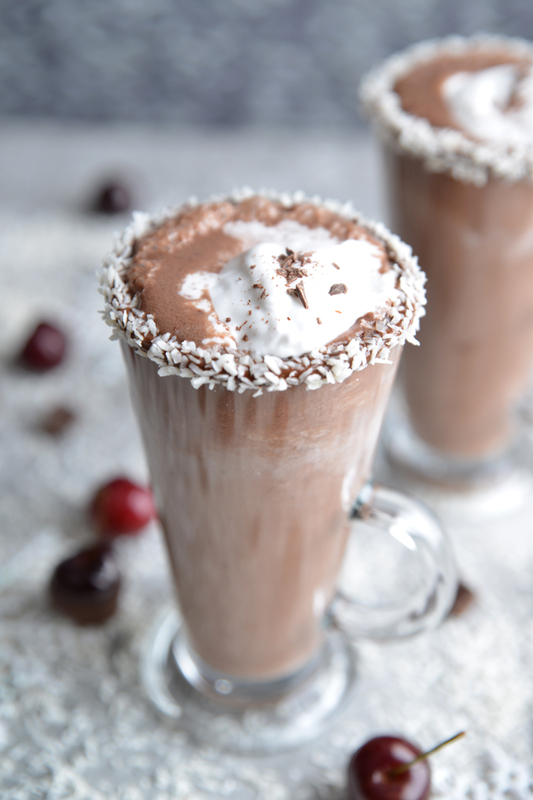 I can grantee the next drink recipe will not have chocolate dipped glasses and you can hold me to that. 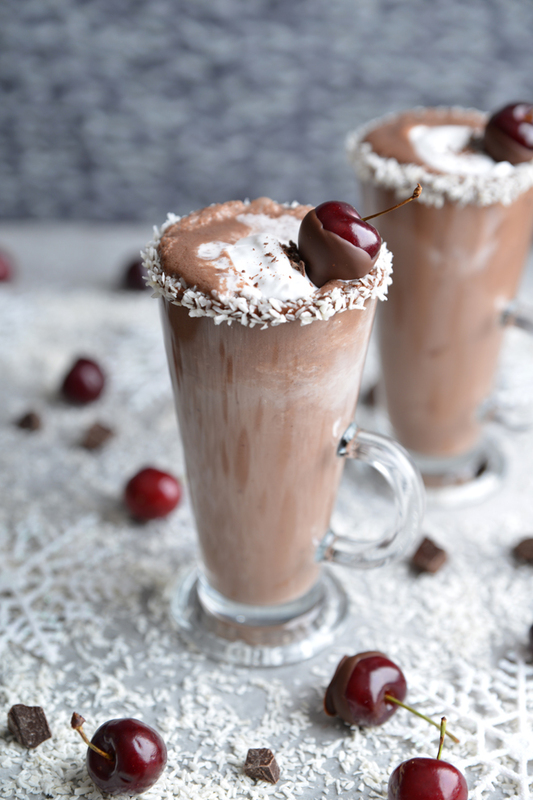 Sometimes the simple things are the best, I don’t think I’ve ever thought to blend fruit into a hot chocolate before but here we are; cherry hot chocolate with 3 ingredients and no added sugar. One of the greatest things about this (aside from it tasting amazing!) is you don’t have to add any sweetener to this, you can add honey or agave syrup but really it’s pretty sweet on its own if you have some nice ripe cherries on hand. It’s also a really great way to use up left over cherries that are a little over ripe...if you ever have left over cherries. 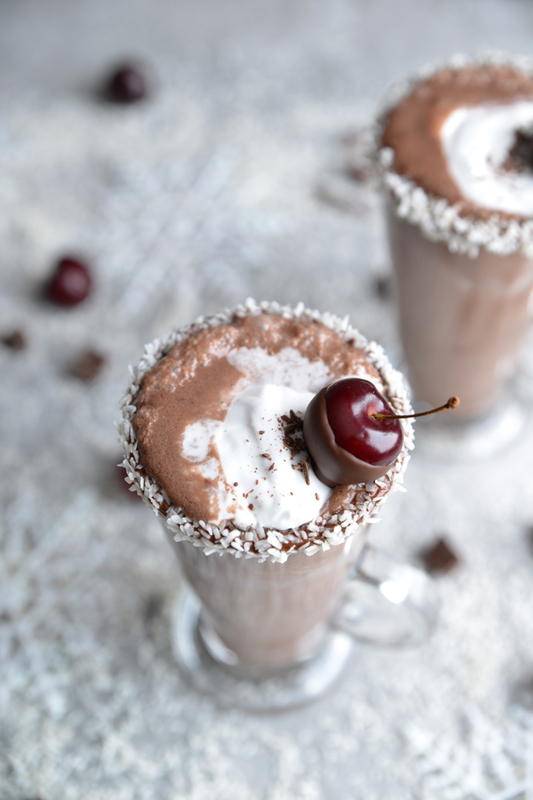 Pit and roughly chop the cherries, blend the cherries, cocoa powder and milk together until smooth. Pour the mixture into a saucepan, place on the hob and heat. 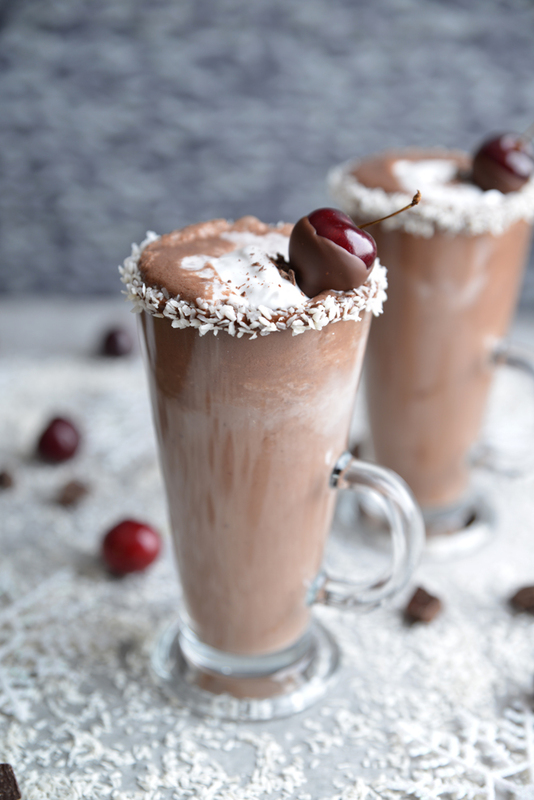 Test the hot chocolate and add sweetener if needed, serve with coconut cream and chocolate dipped cherries.